This 25 1/2 long by 20 7/8 wide perforated silicone coated baking sheet has 1/8” (3mm) perforations allowing for greater and more even contact with the heat of the oven. 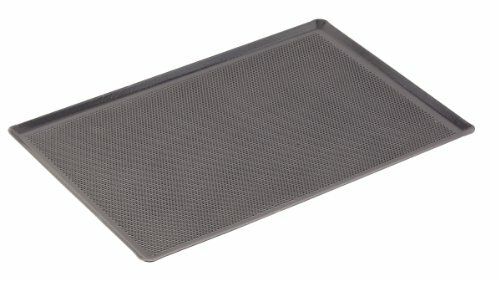 This is perfect for baking breads and for use in conjunction with the silicone baking mat. The perforations account for 50% of the total surface of the sheet. It is made of non-stick silicone and has shallow, flared edges.